To enter a street address for your location, go to Dashboard > Locations, then click the name of the location you would like to edit. In the location details, click the Settings tab and you can enter your location's address in the field shown below. You'll also see that the address is now displayed from the main view of the Locations tab (only visible to managers and admins on the website). Employees will be able to see this info from the app by clicking the location name within a shift. 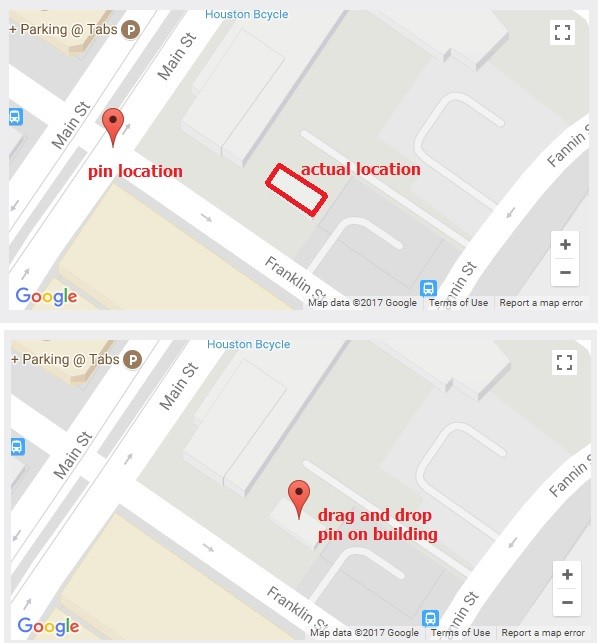 If you find that the placement of the pin appears to be inaccurate, you can also drag and drop the pin for better accuracy (common with shopping centers and buildings set back from the actual street).